Regular readers have probably noticed that I’m taking it easy this week, at least compared to my usual ridiculous level of output. It is, after all, the holidays, and last night I even went to see my cousin’s son play basketball and then hung out at the local Knights of Columbus hall. (No, it didn’t spontaneously explode upon my entering it.) I’ll get back to regular blogging after the 1st of the year. Between now and then I’ll be uncharacteristically mellow and brief, because even a clear Plexiglass box of blinking lights needs a break now and then to recharge the ol’ Tarial cells. Not that it’s actually much of a rest, but a redistribution of effort to grant writing, from which blog posts are a brief respite. None of this stops me, however, from being annoyed by certain things even now. For example, I was sitting there, as so often happens, an ad for Dr. Oz’s TV show popped up. It’s been a while since I’ve paid much attention to Dr. Oz, who basically jumped the shark when he declared über-quack Dr. Joe Mercola a “pioneer” in alternative medicine when from my view the only thing Mercola is a “pioneer” in is using the Internet to make money off of credulous marks with more money and distrust of science than sense and then let the shark eat whatever scientist was left in him when he decided that faith healing actually works and that John Edward could really talk to the dead. Apparently Dr. Oz, not satisfied with having become the biggest and richest supporter of quackery in existence, his fame given a jump start by Oprah’s woo-infused empire and then sustained by his apparent decision to “integrate” pure quackery, pseudoscience, and mysticism with his vanishing focus on real medicine, has decided to embrace nonsense ever the more tightly, the better to provide more bread and circuses to his addled viewers. I suppose I shouldn’t be surprised, but this surprised even me, and in a way I was happy that I missed this when it aired the first time around. I’m referring to the episode set to air today in which Dr. Oz features the “Long Island medium Theresa Caputo. As if this weren’t bad enough, Dr. Oz promotes her as somehow being able to help his viewers deal with anxiety by communicating with dead relatives on “the other side.” Yes, in this case, Dr. Oz goes beyond dipping his toe in the water of pure nonsense to diving right in and swimming to the bottom of the cesspit of psychic scams. I began seeing spirit at age 4. I suffered from anxiety for years until my mom suggested I go to a spiritual healer/teacher. I went to see Pat Longo and that’s how I found out that I had the ability to communicate with spirit. I have been a practicing medium for over 10 years and a certified medium with the Forever-Family Foundation – an organization dedicated to connecting science with the afterlife. People ask me to describe the process of receiving information. It’s hard for me to describe because I see, hear and feel things differently than we do in the physical world. My wish for every person I come in contact with, is that they receive a message that will give them healing and closure to embrace life without their loved ones. Yes, Caputo appears to follow in the footsteps of a long line of “psychic” scammers and mediums like John Edward and, of course, the ever-vile (or at least viler than most self-proclaimed psychics) Sylvia Browne. None of this stops Dr. Oz from entitling his segment, Can talking to the dead help end your anxiety? I could have made this the world’s shortest episode of The Dr. Oz Show by answering this simply, No. Not Dr. Oz, who states multiple times in this segment that “medicine doesn’t have all the answers” or “doctors don’t have all the answers.” This is, of course, true. Doctors don’t always have all the answers, just as science doesn’t know everything. But as Dara O’Briain puts it, “Just because science doesn’t know everything doesn’t mean you can fill in the gaps with whatever fairy tale most appeals to you.” Yet that’s exactly what Dr. Oz is doing here: Inserting a belief that a cheesy Long Island woman with bleach blond helmet hair and a fake tan can talk to the dead for science and reason. As has become the formula for Oz shows that feature psychics and various claimants to paranormal powers, Dr. Oz starts off with a purely credulous segment introducing her, chats with her a bit. This time around, he doesn’t seem to express even the perfunctory claim of “skepticism” that he normally does (and did, for instance, with John Edward). He simply declares her “amazing” and wonders if she can help cure anxiety with her claimed ability to speak with a person’s dead relatives. Apparently Dr. Oz has stretched his mind out to the point where its rationality has snapped. Either that, or he knows this is all nonsense and is pandering to his audience. Take your pick. I don’t know which is worse for a doctor: To be completely credulous or to be in on the con. Next up, of course, are psychic readings, courtesy of Caputo. (You knew this was coming, didn’t you?) It’s the usual cold reading drivel that we’ve seen time and time again from psychics innumerable. Caputo asks a woman whose sister died if it was something to do with the “heart, lungs, or breast.” All of these are likely to be the top three causes of death in a woman who is relatively young and didn’t die a traumatic death (which Caputo appeared to know in advance). Almost anything that causes death is likely to impact the heart and lungs before the end, and if the woman happened to have died of cancer then breast cancer is the most likely culprit. It turns out that the woman’s sister died of a severe asthma attack that apparently collapsed one or both lungs. Caputo then asks the woman whether her sister took her asthma medication, giving the reason that her sister told her that her passing might have been prevented because “we knew better.” Caputo then tells her that her sister said that her passing was “instant” and that she didn’t suffer, which sounds to me like complete nonsense. Caputo has obviously never seen someone die of respiratory failure due to asthma. It is almost never instant, and it frequently involves a long period of intense air hunger and shortness of breath. It is not pleasant. Of course, what psychics are about is giving the living what they want, and that’s exactly what Caputo does. She tells the woman that her sister wants her to let go of her guilt over her sister’s death. That’s why she told the woman that her sister didn’t suffer when she died. That’s why she provides messages of love from beyond and assurance that there really, really is an afterlife. Consider this. When have you ever seen or heard a psychic tell someone like this woman that her dead relative is in hell, hates her, or blames her for her death? I’ve never heard that, although obviously just because I haven’t heard it doesn’t mean it doesn’t occasionally happen. If it does, though, it must be rare. That’s not what people want to hear from psychics. No! They want to hear that there is a happy, gauzy afterlife where their loved ones now reside, and that all conflicts, guilt, and anger that might have existed in life are now gone. They want to hear that the dead have forgiven them, and that’s what Caputo delivers, just like every other psychic medium scammer out there. She even goes on to tell this woman that her dead father, who apparently died several months before her sister did, knows that she was there with him when he died and that she held his hand as he passed away. And Dr. Oz falls for it once again, jumping in to ask the woman if this experience was helping her or hurting her. Meanwhile, the second testimonial is a woman who was terrified to go to see a doctor because she was afraid of learning she had heart disease and whose father refused to see a doctor and ended up dying suddenly of heart disease. It’s more of the same, with Caputo empathizing and cold reading and assuring the woman that her father is “fine” and that her father is assuring her that she’s okay and will be okay if she takes care of herself. Later, during audience questions, Caputo reassures another woman that her father knew she was holding him as he took his last breath. It’s sad, really. Whenever I think Dr. Oz can’t go any lower, he inevitably proves me wrong. The only thing that Dr. Oz is likely to have achieved here is to publicize yet another psychic scam (which is what Caputo is), such that Caputo will likely be able to increase her charges beyond the already exorbitant $400 for a half hour session that she already charges. I don’t think that it can be repeated too often: Either Dr. Oz is completely credulous and believes this stuff, or he knows it’s a scam and is cynically promoting it anyway, pandering to the lowest common denominator of his audience. I can’t think of a third option right now. Hah! “Certified medium?” That’s a good one! Next time I hear a chiropractor or some other quack cite his licensure as an imprimatur for the legitimacy of his discipline I’m going to rub his face in this. Certification as a medium strikes me as the equivalent of being elected president of the flat earth society. It’s appears to me that Dr. Oz has moved away from the hard science and into showmanship. It’s not fun to have a science-oriented, factual television show. Not very many people would watch. But, if you turn it into a sideshow of outlandish claims and veil it with something along the lines of “I’m a doctor, and even I have to wonder about these things sometimes”, then you get viewers who just “want to believe” AND the skeptics who are baffled by the actions of a physician. It’s like watching a train wreck, basically. I would be willing to bet good money that Orac would be much more comfortable in Illuminati-sanctioned churches ( Temple in London) and Christ ( in Philadelphia). Oop, I wasn’t supposed to mention that. I would love to see what kind of tests would be available as part of the “medium” certification process……. Don’t want none of them uncertified mediums (media?) contacting the dead. I couldn’t get the video links to play, after the probiotics/krill ads, but I found The Long Island Medium’s show when she did the reading for Deanna, who was looking for the “Goodfellas” sign from Uncle Tony. Toward the end of the 6 minute segment, hear The Long Island Medium state that her fears and phobias kept her from going to college and getting a job in Manhattan. Yeah. Sure. I’ve recorded the Oz episode on a local TV station today at 4 PM. I’ll post my review later. Oral exams by dead people? The lunchhooks are pretty bad, as well. @TBruce – I’ve seen enough Japanese Horror Movies to know where that is going……. I’ve seen enough Japanese Horror Movies to know where that is going……. At least you didn’t mention Jess Franco. Either Dr. Oz is completely credulous and believes this stuff, or he knows it’s a scam and is cynically promoting it anyway, pandering to the lowest common denominator of his audience. I can’t think of a third option right now. I can. The third option is a state of quasi-belief, where you tell yourself you do believe in some of it and just help out the “weak” bits because the part that IS true is so valuable. You’re allowed to be very vague on what’s actually true, slipping from reasonable to unreasonable interpretations of whatever woo you’re wooing. Another option might be one where “pandering to the audience” is gussied up in your mind into “providing comfort to the afflicted using THEIR chosen means, not yours.” This is the rationalization of pragmatism. If someone, somewhere, somehow feels a little better than they did — yea! I’m just so caring. I improved a life — and isn’t that what really matters? People. Feeling better. Whatever works. Then, it’s not a lie in the real sense. It’s true enough for practical purposes. I think it’s really hard to form a dichotomy of motivations in the Land of the Fuzzy Thinkers using Fuzzy Ideas for Fuzzy Reasons. I wonder if these folks every tell people that their deceased relative died an excruciating, terrifying death, and that they’re still deeply disappointed in how you turned out? There is also St Leonards in Shoreditch, with its motto of “More Light, More Power”. If mediums were real, then they would be working full time for the Police Departments and FBI, since they would be able to contact the dead & find out not only exactly how they died, but who killed them. Comparable to Dr B, their withholding of their “special gifts” from law enforcement is extending the pain and suffering of families everywhere…. Also, regarding the dichotomy of Oz’ motivation (credulous fool, or cynical exploiter? ), I’m reminded yet again that many physicians are pretty bad at science – they got through their formulaic, weed-em-out premed courses by gamesmanship and by rote, with no real understanding. Because science is just mumbo-jumbo to them, weirdly non-physical crap doesn’t faze ’em. Our steamed host (he’s justifiably steamed at Dr. Oz) is obviously not one of these mindless plodders. When I went to the “Bodies” exhibit in NYC at South Street Seaport this years, and amongst the luminaries of science was placed Dr. Oz., I realized he had completed his light saber and skills, and as a dark lord of the pseudo., his skills were complete. I hate to be off topic but are any of you guys/gals aware that Deepak Chopra now has a kinect video game. Perhaps Orac has already mentioned it and I just missed it but I wonder how much of Chopra’s woo is being pushed in the game. Maybe Orac can look into it someday ” Deepak Chopra’s Leela “. Just thought I’d pass the info on before going back to my lurking. With reference to the specific naming of Goodfellas I think that is more likely to have been Hot Reading. Specific answers such as that scream to me that the ‘Victim’ has been overheard or, more likely, been asked to fill in a form of some kind. I’ve never disagreed with our esteemed box of lights before. Does that mean any chance of meeting Sirvilan has now flown out the window? Please disregard my previous comment, Orac has already blogged about it (in 2011, I don’t know how I missed that). A certified bullcrapper is more like it. And one can NEVER have enough light and power. in brief, she’s a short person with frontal assets. She dresses in a manner that works against her good points and accentuates her problems by drawing attention to them. She’s not at all ugly but she presents herself badly. I assume she wears heels that are too high as well. that shade of blue should be reserved for people whose skin tone is either ivory or ebony. In between doesn’t cut it. I always refer to ‘deadly shades’.. in this case it describes both the fashion and the milieu. ** it’s Saturnalia, indulge me. *** channeling Amy Winehouse perchance? I’m surprised no one has thrown this link onto her facebook page. Does this mean I get a date with Sirvilan? I think that, as usual, Sastra hit the nail on the head. As a former card-carrying denizen of Wooville, that was my indeterminate state. You sort of pick and choose what you want to be true and scoff heartily at what is clearly “fakery.” For instance I believed that Jane Roberts “Seth” was authentic but that J.Z. Knight’s “Ramtha” was preposterous fakery. Why? Because I liked Jane Roberts and her writing and how she said she was skeptical of her own experience as a channel and skillfully wove quantum hooey in with classic spiritualism. Hell, Yale has all her archives. I just liked her as a person and wanted her comforting tale of reincarnation to be true. It was a fabulous story to follow. The same with alt med, thought I was far more credulous in that department than I was in spiritual matters, and that could have killed me. Cindy and Baroness de Rothschild were chatting after dinner the other night and seemed to think that a television game show might suit me (shapeshifted, of course). They were tossing about possible names (Beg for Your Life, Charlatan! was a front runner). The format they were envisioning was somewhat like the JREF million dollar challenge but with . . . shall we say, higher stakes for failing. The good Baroness has connections at Canal 5 and Endemol, and you know those Europeans, they’ll put anything on television, so we’ll see if we can give that gaunt hack a run for his money. In any case, her serene highness is having some of her people work on a treatment and they’ll talk to some other people and who knows what may come of it? Astra just rolled her eyes and muttered something about me already being impossible, but I think I’m sweet for an overlord. I banned flensing, don’t I get credit for that? And speaking of sweet, who sent that lovely layer cake with the cricket sprinkles? It was simply devine. Of course, the poison in the frosting would have killed a horse, but I’m not a horse now, am I? Really, Now dear monkeys, I’m sure it was just a simple misunderstanding, so whoever made it, please feel free to call my transponder directly and we’ll clear whatever is vexing you right up. If you can’t trust me, who can you trust? Stay vigilant in the new year . . .
Dr Gupta is pretty high on sCAM (he is/was on “The Doctors” – I’m not sure now, because the ads are no longer running, and I don’t have a TV). He has recently written a novel, which I see in the New Books section at the library. It appears unpopular – it’s on the shelf every time I’m there, and I go once a week. It’s in time like these where I’d like to describe the death of my father. It was horrible to witness. where I’d like her (the medium). “She’s an MD *and* a medical intuitive!” I was informed. (I guess a medical intuitive is a psychic with an MD.). I have yet to delve thoroughly into the morass, but I’m looking forward to it. A refreshing twist on the psychic shtick. OT: New Zealand child gets tetanus, causes anti-vax parents to reconsider vaccination (at least for tetanus and pertussis). This is from The Twenty-first Floor. I hope Alijah makes a full recovery. That’s one awesome vein of woo you discovered. She’s not an MD, at least I couldn’t find any evidence of that. So far I’ve discovered that her Facebook link goes to someone else’s homepage and she could use a new photographer to make her look less . . . intense. Although educated in Behavioral Neuroscience, she seems to have chucked reality in order to pursue a lucrative career as a highly advanced victim blamer, and offers courses in same starting at the low, low price of $550! She’s been on Coast to Coast (shocking) and there’s a Dr. Oz link, she’s been his guest. A list of her exciting articles, including the ever popular . . . Yoga For Cats? Are you Too Darn Dependable? Let your intuition manage your needs. Letting Mother Nature take care of you. Understand the warning signs your body is sending you. Why Daffy Duck has 5th Chakra issues. When pets are weaned by mystical authors. Hopelessly Devoted to Everyone But You? Release your need to please everyone. I’m sweet for an overlord. I banned flensing, don’t I get credit for that? Not as long as Celine Dion persists on this planet. I’m told by informed sources (who have since changed their names, addresses and faces) that there was simply a transposed hydroxyl group in that additive — it was supposed to complement the crickets’ chitin. Those who were responsible for sacking those responsible for the error, have themselves been sacked. I wonder at what point money is good enough to set yourself in a situation where you completly embarrass yourself…because I guess this guy cares more about it own beneficts than science (a good bunch of scientist do). The most edious facet of all this is that the real placebo effect, and all the real psicology-psyquiatry banish and gets confused with all this non-sense. Healthcare worker? Anti-vaccinationist? What the heck is wrong with people? Does it take to see her own child suffering to change her mind? Seeing dozens of other suffering from vaccine preventable diseases wasn’t enough? On another note, I find it übercool that they have children’s hospital called Starship in New Zeland. @ Ann C. @ Pareidolius…She *claims* she has a doctorate in neuroscience. How about her long-distance via phone *consultations*? What amazing diagnostic skills she possesses. Mrs. Williams could be employed in healthcare, and not be a licensed medical professional (case in point typing at you right now). But it is shocking, if she worked in any related field, that she felt not immunizing was an informed decision. I’m sorry her child had to suffer because Williams et spouse have been drinking from the wrong cup. “Pop guru Simon Cowell carries pocket-sized inhalable oxygen shots, America’s “Mad Men” actress January Jones favors dried placenta pills, and British soap star Patsy Palmer rubs coffee granules into her skin. Maybe Don Draper was justified scr*wing around with other women on the Mad Men TV show…Betsy is such a twit. I wonder if there’s a sort of chicken-egg thing happening with shows like these: the more audiences want this sort of psychic crap (given the target market of Oprah and her ilk), the more the producers program it. Integrity makes way for higher viewer numbers and bigger bucks. And of course, the more its shown, the more the target audience wants to see it. Also, whenever a headline is given in question format, it’s extremely likely that the answer will be ‘no’ regardless of the so-called controversial spin the producers put on it. Thanks for sharing, Gail. So many people have never even heard of mediums before, or have only heard the negative spin that the materialistics put on it. I LOL’d at the idea that nobody has heard of mediums before. Seriously, on what planet does that commenter live? 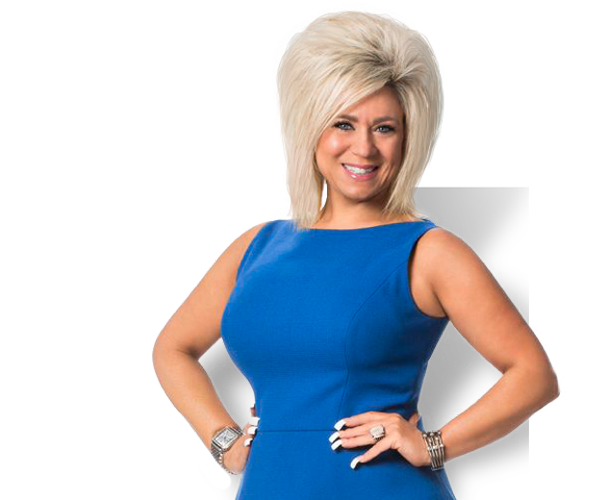 There was one episode of “Long Island Medium” that was especially distasteful where the Prada Wearing Vulgarian (Lisa Caputo) channeled the spirit of a boy’s father reducing him to tears I have to wonder just how healthy it is to impose such delusional thinking on the mind of a child? Scifake is all over that hack. Dr. Mona Lisa does private Medical Intuitive Readings. Knowing only your name and age, over the phone,she will describe a specific emotional situation(s) that she sees aggravates your health. I could do that. I’d need ten or fifteen minutes on Google and Facebook first, but I could do it easily. Great article! I actually caught this episode, too. I was dumbfounded by the absurdity and lack of integrity it took to actually air something like that. I was so upset by the end of the show that I wrote a long comment on Dr. Oz’s facebook page, not that it will do any good. I just could not believe how irresponsible he was. He never even gave a caveat, “There is no scientific evidence that we are conscious in any way after death. If you are experiencing anxiety, please seek medical attention.” Absolutely none of that. Instead he told this crazy woman how amazing she was and encouraged the audience to pursue contact with their dead loved ones. Reading the comments on his website only made me madder…person after person saying they live with terrible anxiety and they wish that Theresa could give them a “reading” to make them better. I am saddened to think of how many people were (and will be) harmed by watching this bullsh*t.
@Shay, @puppygod – I did notice that the mother was a “healthcare worker”. For all I know (without further research), that could mean she’s the receptionist at a chiropractor’s office or cleans up the patients’ rooms. It wasn’t specified. It is shocking that it took something as horrible as her own son contracting tetanus to get her other two kids vaccinated for (at least) tetanus and pertussis. Coffee grounds are a wonderful exfoliant. I’ve put them in glycerine soap and also in coconut oil; either is great in the dry winter months. No witchcraft involved, though. Dr. Oz must be living right — he’s featured in an article on Slate.com. They don’t much like him over there. (curses. I can’t remember the html to link). I’m thinking the love child of Tammy Faye Bakker and Snooki. Yikes!